NovaBirds Cam Blog: On today's Menu: Acorns! Over the weekend, I travelled a few hours away to visit my inlaws. The nuts there are plentiful! ...and by nuts I mean acorns..but maybe I mean seeds? Anyways, to get to the point, my inlaws have a number of oak trees surrounding their property, and every fall at least a few of them drop acorns. 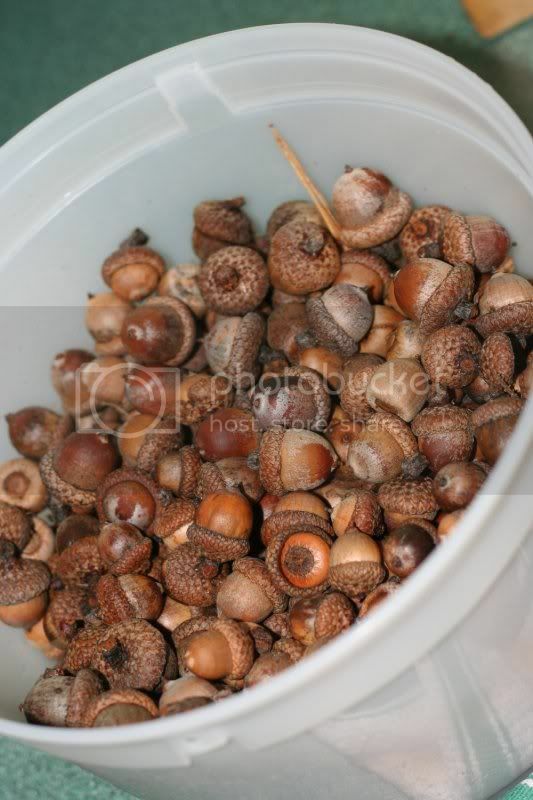 Because we have no oak trees near our own home, I thought that the squirrels and chipmunks would really like a special treat, so during my visit, my father-in-law and I grabbed a 4 litre bucket and filled it with as many acorns as we could find. 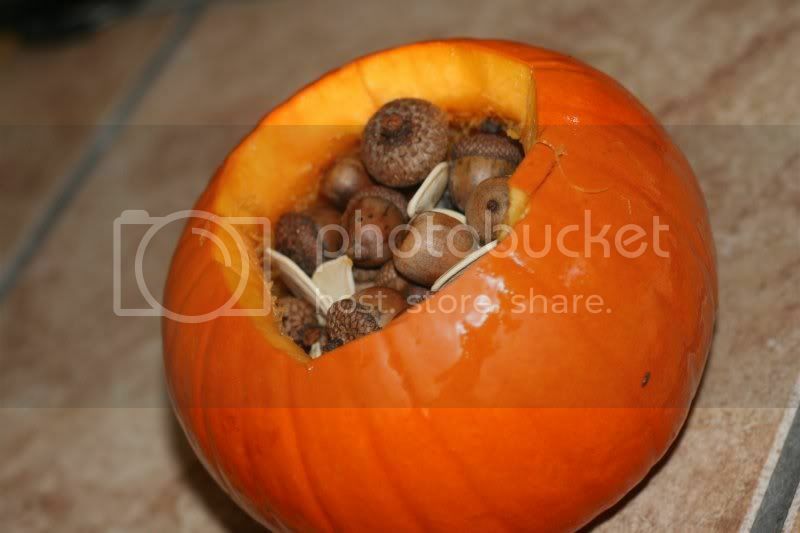 When I got home, I took our hollowed out little pumpkin and filled it with acorns and pumpkin seeds. Within a matter of hours, the chipmunks and bluejays had cleaned out the pumpkin! Looks like the acorn idea was a win! Now the little tricksters will have extra treats to enjoy for the next few weeks!